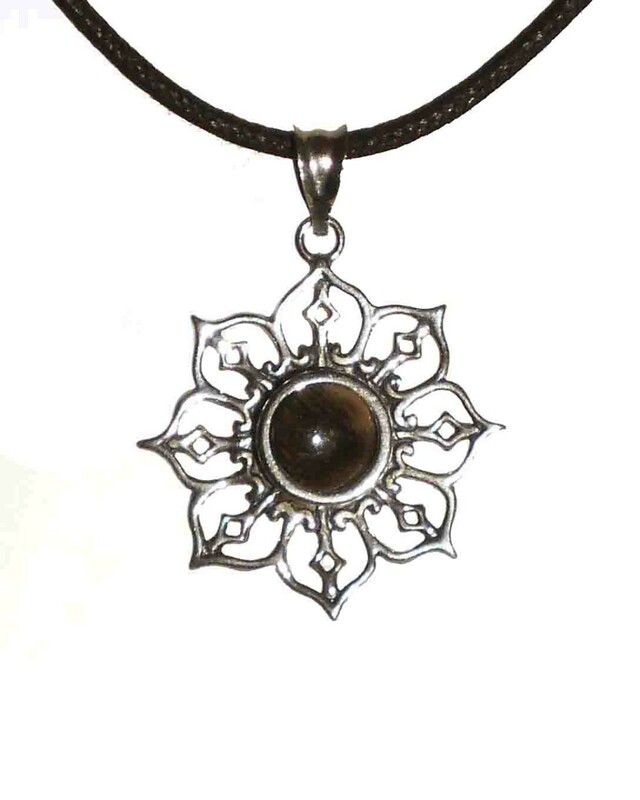 Home > Pendants > Sterling Filigree 8 mm Round Equinite Pendant and black cord. Sterling Silver Filigree Pendant with 8 mm Equinite Gem and large bail. Comes with a Free 2 mm black cotton necklace cord (Pictured) adjustable up to 24". 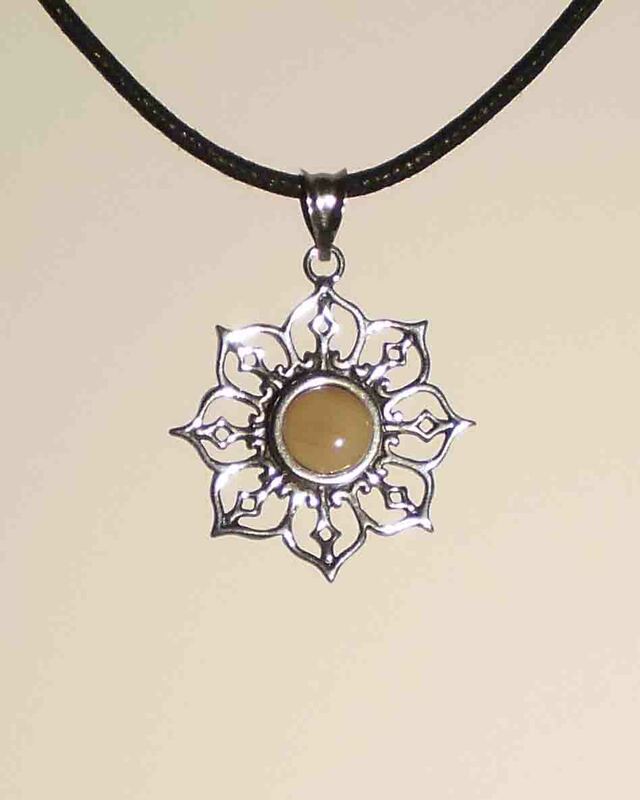 Check out our Leather and Silver necklaces to add to this beautiful pendant.